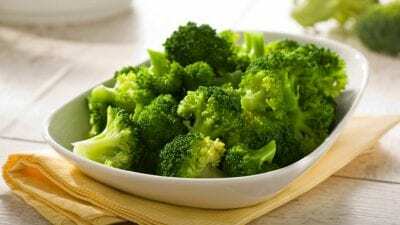 Is broccoli good for diabetics? Anything in the green leafy vegetable category certainly is good for you. It is just about the healthiest food that you can eat. Broccoli is a member of the green leafy vegetables such as spinach, Brussels sprouts, and cabbage.We’ll learn just how beneficial that broccoli is for you, how it can help to lower your blood sugar, and how it can help you to become healthier. This nutritious plant is found in the Mediterranean region where it is acquired from the very watchful eye of breeding of the cultivation of leafy crops. 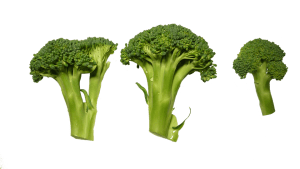 The actual name “broccoli” comes from two words, one Italian word “Brocco” and one Latin word “Braccium” which means branch, arm, or shoot. Even though broccoli is mainly green in color, sometimes it can have some purple shades similar to the cauliflower and cabbage family. The most common part of the broccoli that is eaten is the “flowering” heads. It is in the shape of a tree that is the top of a thick stalk that is edible. It’s been found in research by the NHS, that either eating broccoli or drinking it in juice form could help in controlling diabetes. It could be the key and missing link in treating diabetes. It’s the compound sulforaphane in broccoli that aids in lowering blood sugar. Sulforaphane is the ingredient that is responsible for lowering blood sugar and it has little to no side effects. According to the University Diabetes Centre in Sweden, it can be offered as a broccoli drink or “shake.” It can be another treatment in addition to others for type 2 diabetes. This broccoli “drink” can be great for people who are pre-diabetic. This is good news for diabetics and pre-diabetics. Broccoli is very healthy no matter how you look at it. There’s no need to necessarily get a broccoli shake. As far as I’m concerned just eating a good amount of broccoli will give me the benefits I need for my body and to help fight type 2 diabetes. Any cruciferous vegetable is healthy as well. It is common sense that anything as healthy as broccoli should be in our diets without a doubt. If you want something that is also really important for reversing your diabetes, find it in the conclusion of this article. It’s worth it! Broccoli is an excellent source of nutrients that include vitamin A, vitamin C, fiber, selenium, folate, and beta carotene. It is also rich in minerals such as magnesium, manganese, and potassium and these are essential for a healthy body. Broccoli can be eaten raw or cooked. Either way is okay, but really the most beneficial way health wise to eat it is to steam it or raw on your salad with your greens. * Blood pressure- Broccoli has an abundance of the mineral chromium which helps to regulate blood sugar and keeps the function of insulin running properly and in turn controls blood pressure as well. It also contains many vitamins, which also aid in keeping all of your body systems running smoothly. So in addition broccoli’s vitamins , omega-3 fatty acids, and fiber truly regulate your blood pressure. With all of these benefits, how could you not include broccoli in your diet? * Cancer- You can lower your risk of cancer by eating a higher amount of vegetables that are in the cruciferous family. This is especially true with colon and lung cancer. And the studies that revealed this show that it’s because of a compound containing sulfur called sulforaphane. This is what has the power to fight cancer. It seems to be common sense to me that you would want something that helps you fight against cancer, right? * Improve your bone health – You can be more at risk for a bone fracture if you are deficient in vitamin K. So where can you get enough vitamin K? Look no further! Broccoli provides more than your 100% daily requirement in just one cup. So you’re covered in the vitamin K department because it helps to reduce your urinary excretion of calcium and at the same time improves your absorption of calcium. Vitamin K seems to be the lost vitamin. It doesn’t get the attention that the others do. * Fighting aging- Free radicals can cause damage to your skin and because broccoli has vitamin C, it fights the free radicals with it’s antioxidant properties. You can reduce the appearance of unwanted lines by vitamin C eliminating the free radicals and thereby preventing aging of your skin. Another important ingredient of broccoli is bet carotene. You may have heard about this in carrots. Well, between beta carotene, vitamin E and vitamin B, your skin can result in a natural “glow” and your skin staying young. * Sunscreen- You’re always told to not forget your sunscreen and that’s important. You don’t want dried up old skin, or skin cancer, do you? Now sunscreen will absorb UV rays from penetrating your skin. That’s fine but you can get a broccoli extract and apply it topically, and it gets absorbed directly into the cells of your skin and produces a group of enzymes that help protect from exposure to UV. This can be a better choice than conventional sunscreens. Give broccoli a shot! * Hair growth- If you want to promote the growth of your hair, look no further. Broccoli can help to stimulate the growth with the help of calcium, vitamin A, and vitamin C. Your hair follicles are strengthened by the calcium. Sebum, which is a secretion that is in essence a natural conditioner and moisturizer for your hair and scalp, is stimulated by vitamin C and vitamin A. Broccoli for hair growth has my vote for sure. * Hair loss- Okay, so broccoli can help with hair growth. Perfect! How about hair loss in the first place? Well stress for one thing can be attributed to hair loss. What can help? Since broccoli contains vitamin B and specifically vitamin B6, it can aid in reducing stress and that will help with hair loss. You can have much healthier hair because the vitamins that broccoli have help to support both your physical and mental well-being. So think about it, hair loss and hair growth? Where is my broccoli right now? I’m hoping for it to be in my mouth at my next meal. * Your vision- To me there’s nothing more important than my eyesight. Are we on the same page? How does broccoli help your vision? Well I will tell you. The vitamin A that is in broccoli can aid in providing good health of your eyes and by helping your retina to absorb light. As previously mentioned about preventing cancer, this can also prevents cataracts in your older years. Cataracts are fairly normal in later years but the properties in broccoli can help you to possibly avoid them. * Weight loss- If you’re looking to eat healthy and lose weight, then broccoli should be on your list of weight loss foods. It has basically no fat and is low in calories. Again, vitamin C in broccoli can increase your fat burning potential when you are doing an exercise workout, according to research. Why not take the extra “help” when working out that broccoli can help you with? No fat, low calories, and it helps you with weight loss? I don’t think I have to go any further. The writing seems to be on the wall. * Nervous system- You can maintain a healthy nervous system with broccoli due to the potassium it contains. And it doesn’t stop there either. It also helps in promoting the growth of your muscles and helps your brain to perform at its’ peak. Talk about brain food, this is it! * Detoxification- There are specific things that can help detoxify your body. Sulfur, some amino acids, and vitamin C are the three that can do the job. This will aid in removing a toxic like uric acid and free radicals from your body.. The result can be your blood purified and staving off toxic issues such as: rheumatism, eczema, rashes, itches, arthritis, gout, and more. It’s amazing how much one superfood can do. * Anemia- Since anemia is a lack of some proteins and iron, broccoli comes to the rescue to help treat anemia.It’s loaded with proteins and iron so it’s an excellent way to fight anemia. Red blood cells are produced by copper and iron that broccoli generously provides. * Chronic disease protection- A high consumption of fiber is linked to having a lower risk of diseases including: high blood pressure, obesity, coronary heart disease, diabetes, and stroke according to studies done. Get that fiber! It’s wonderful that this amazing vegetable has so many health benefits for you. But be careful about any side effect such as an allergic skin rash or other side effects. And always remember to check with your physician about any changes you make to your diet. They are the professionals who know you and your body so discuss everything with them. This is very important. Too much broccoli can cause kidney stones. The kidney stones form and can occur when calcium stones derive from calcium oxalate which is a substance naturally found in foods. This increases your risk for kidney stones. Most vegetables don’t have a high amount of oxalates, but others such as broccoli have 10 milligrams for each serving. Just don’t have more than 45 milligrams of oxidates per day. Broccoli is great for you but drink plenty of water and don’t go overboard with broccoli. For the most part, normal portions of broccoli are what you want and will give you the most benefit without the risk of developing kidney stones. Consult your physician as always. There are many foods considered to be superfoods. I believe that broccoli is at the top of the list. So is broccoli good for diabetics? Eating broccoli on a regular basis and being part of your regular diet will help lower your blood sugar and help your body tremendously. I hope that you enjoyed this article and if you would like to leave any comments or have any questions, feel free to do so below. I would appreciate it. Thank you for reading and happy and healthy! Hi Rob! I took a lot of time reading the contents of your website as I am diabetic and I do try to control my blood sugar. I did not just read that part of the broccoli but all your other posts as well. Your website is so full of health information that I could not resist but read each topic. I even have to take notes to be sure I remember the benefits of each, such as broccoli.You have included everything, from fruits, to turmeric, ginger, lemon and name it. Your website is so well researched. Thanks for all the helpful medical tips, a lot will be able to benefit from it. Hi Rebecca! I’m glad that you enjoyed reading. It’s all about educating others as to how to be healthy and what helps diabetes. I like to talk about how certain foods such as broccoli help you to become healthier and how it can help in lowering your blood sugar. And as you read broccoli has so many benefits that I’m sure some folks weren’t aware of. Thank you for your comments and pass on the information! Happy and healthy to you! After reading your informative post, I would definitely concur that broccoli is good for you and does have super health benefits. It is great to learn the specific benefits that broccoli contains. Diabetes is a major health issue and I will share this article with family and friends who can benefit from it. What about cooking broccoli? Would over cooking destroy some of the nutrients? Green leafy vegetables are so healthy, especially broccoli. I’m not sure that many folks realize how many benefits broccoli provides. Having diabetes, I feel that anything that helps to lower blood sugar and helps me get healthier at the same time, I’m going to do. I’m glad you’re going to share this information about broccoli. By boiling and steaming vegetables, you will lose from 22 to 34 % of vitamin C. If you microwave or pressure cook them you will retain 90% of the vitamin C.